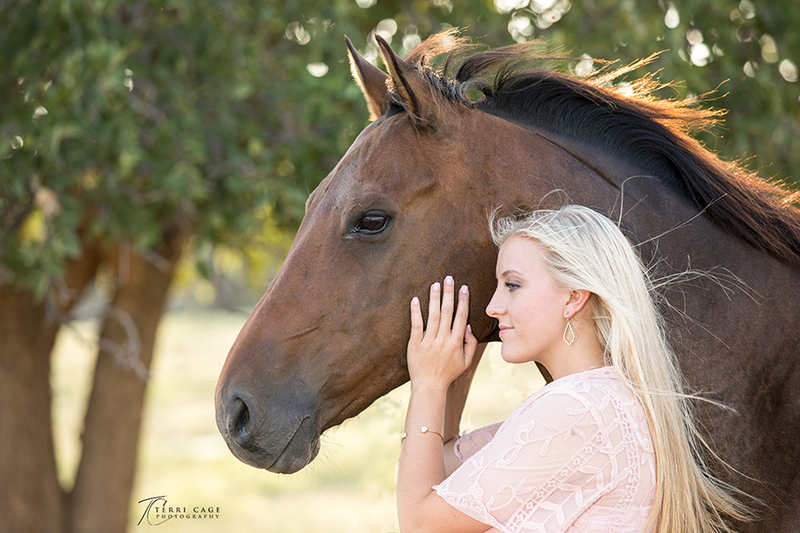 Brandalyn attends Clarendon High School, but haul several hours to have her senior session done at the beautiful Grey Horse Ranch in Wildorado, Texas. 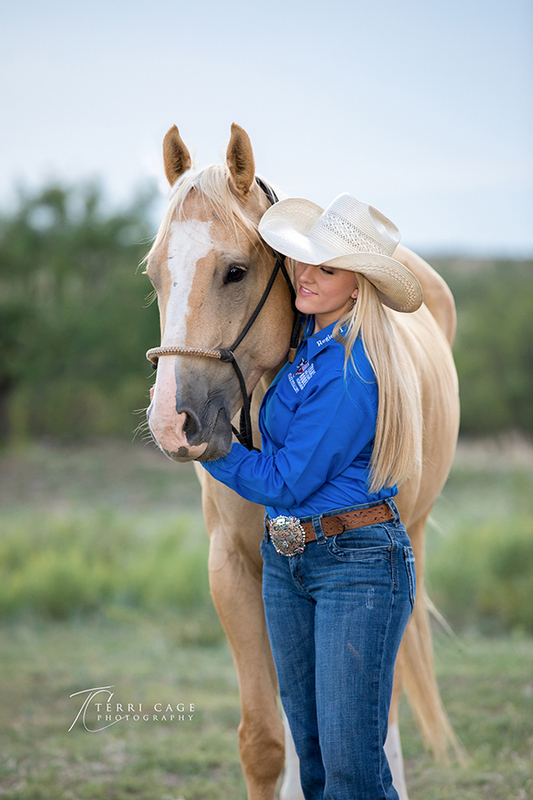 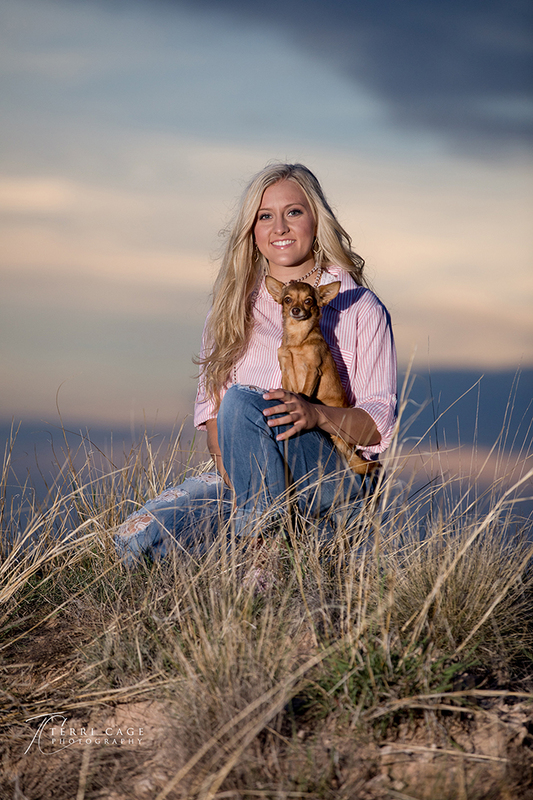 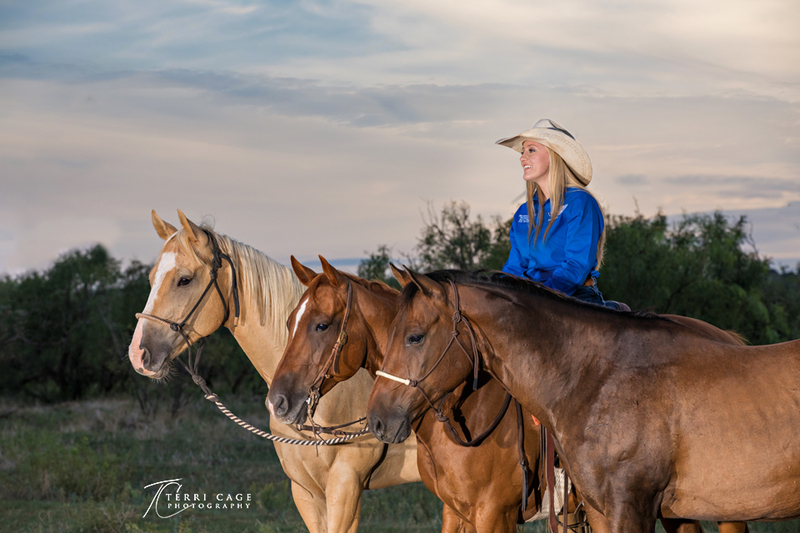 She brought 3 of her horses, one that she recently won a AQHA World Youth Championship. 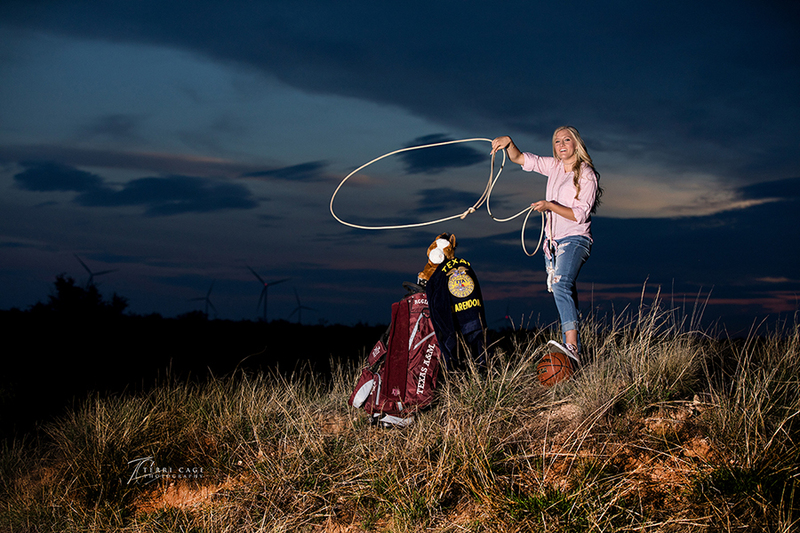 Not only is Brandalyn active in her horse activities, she is also active in golf, basketball, FFA & 4H. 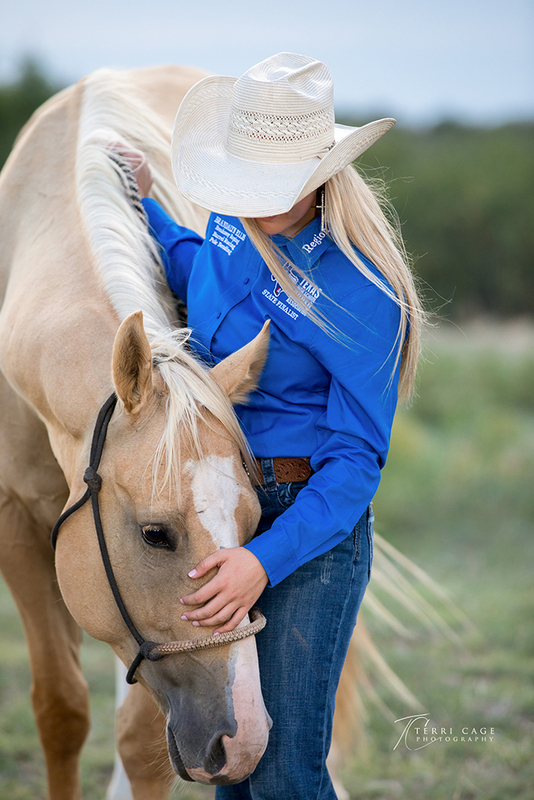 Not sure when she sleeps! 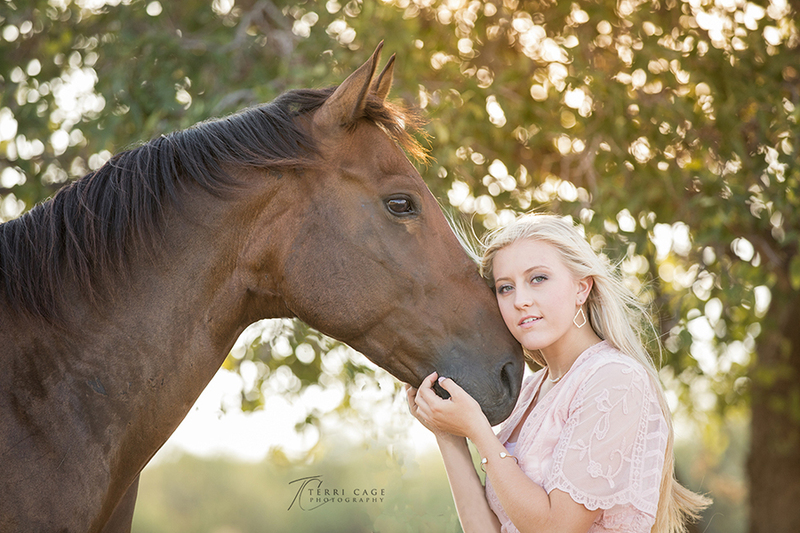 We were able to incorporate all her talents, plus her dog all in one photo.